Forte dei Marmi is an internationally renowned sea resort of the Versilia, situated in the province of Lucca on the northern borders of the Tuscan coastline, right next to the province of Massa and Carrara. Characterised by golden beaches and clear waters, this sea tourist destination owes its success both to its natural features and to the many pubs and discos that always attract lots of people. As the name goes, the sea resort Forte dei Marmi, fortress of marble, is situated at the foot of Apuan Alps from where the famous Carrara marble was extracted to then be transported elsewhere via sea (forte, instead, comes from the old small fortification placed in the centre of the city and built during the eighteenth century). At a stones’ throw from the beaches, then, the Alps are an interesting destination to all tourists loving itineraries among nature, trekking and mountain bike outings, as well as those people interested in discovering the marble quarries and the old extracting activities, the food traditions of the nearby villages like Colonnata, home to the famous and delightful lardo. The golden beaches with their beautiful and clear waters, moreover, are provided with facilities including umbrellas and deckchairs...nothing less than beaches in other parts of the world! Forte dei Marmi offers more than just beaches and mountain itineraries close by: it’s a destination well renowned for all the sea clubs and discos that always attract people from everywhere, from tourists to inhabitants to students coming from nearby localities and looking for music and fun. Among all those disco pubs, the Capannina di Franceschini (commonly said Capannina) is the night club par excellence of Forte dei Marmi, symbol of this town which is still mainly dedicated to tourism. First opened in 1929, the Capannina soon became one of the most popular clubs for Italian aristocracy and hang-out for the most important artists of the sixties and seventies. Today the club, which has preserved the name, the fame and its old fashion-styled environment, is a well renowned destination for the young and the young at heart, and no longer necessarily of the elites! Two of the more interesting traditional manifestations of Forte which are really worth your while are the Palio dei Micci (characteristic parade recalling Renaissance times) and the Palio dei Bagni, a pedalo race among all the local lifeguards. If the close town of Viareggio is home to one of the most renowned Carnival manifestation of Italy, in Forte dei Marmi children are the protagonist of the so called Carnival Fortebambino. The closest rail station is situated in Querceta, in Seravezza village, on the railroad line connecting Pisa to Genoa, from where it’s then possible to reach other regional and national destinations. 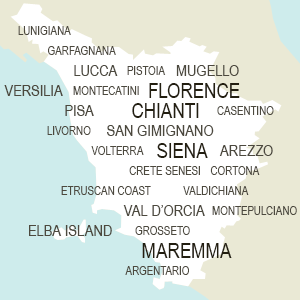 For long distance trains, the nearest station is Viareggio. Besides the public bus service, car still remains the most convenient mean of transport for getting there (exit Viareggio or Massa Carrara from A12 highway) and around in the city.